Potato salad, counting squirrels, and invisible lingerie – this is a small part of the most absurd projects that have received money through crowdfunding platform Kickstarter. For many people this way of fundraising a project is a waste of time and money. These first examples show just that. But there are actually quite innovative and successful ventures that have accumulated stable boost through crowdfunding. Projects like Pebble smart watch, and Oculus Rift, just to name of few. Today they were joined by the 3D laser printer GlowForge, which broke the Kickstarter’s record for largest sum of money generated trough the platform. With GlowForge people are able to make different objects – the device can engraved metal, make components, etc. Unlike conventional 3D printers where the raw material for building the object, is superimposed layer by layer, GlowForge is using the opposite principle. The printer is using a very precise laser to cut trough material until the desired result is produced. 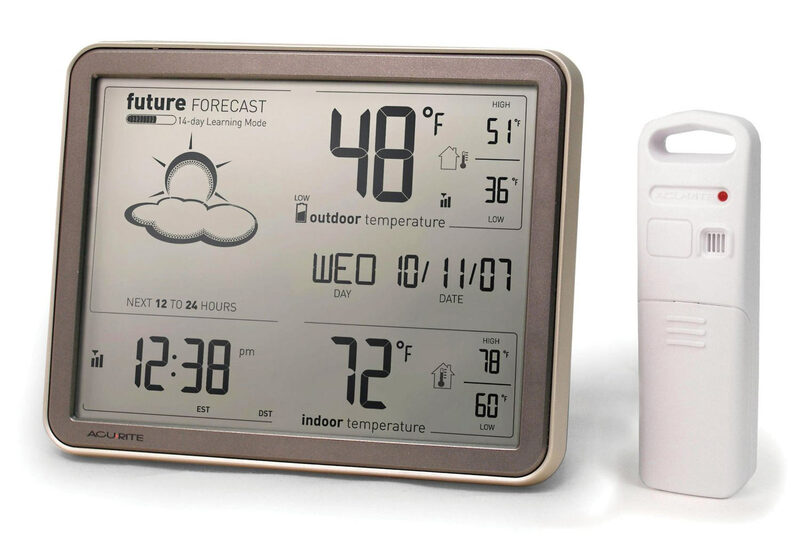 The company used Kickstarter to pre-sale the device with the hope to finance their expansion. Today the startup announced that it had received requests for an impressive 27.9 million dollars. Previously, the company secured 9 million dollars financing round from private equity firms. The creators of GlowForge have set relatively simple goal – to create a compact laser cutting machine. Lots bloggers describe it as a 3D printer. It is not just this, but much of the effect achieved by the this printer is quite similar to products made with such devices. GlowForge is slightly larger than the classical computer printer and can cut a variety of materials such as leather, cardboard, plywood, plastic, and engrave certain metal. Similar machines have existed for years, but the company was able to dramatically lower the price, which is now far more acceptable to the general consumer and small businesses. 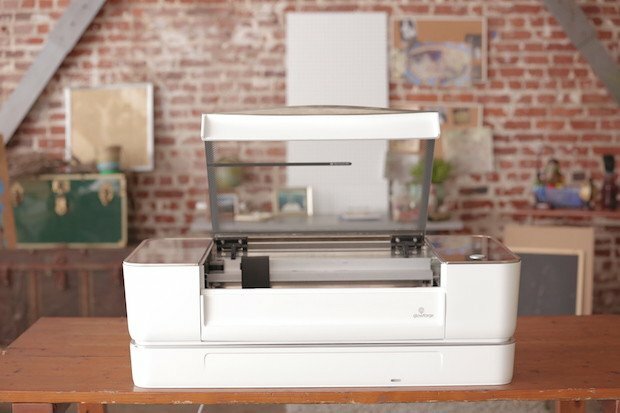 Preorder price for the base GlowForge model printer is currently at 2395 dollars, and in September it was available for no more than 1995 dollars. This is well below the price for industrial laser cutting machines that cost tens of thousands of dollars, and some Chinese manufacturers offering devices for between 3000 and 5000 dollars. The low final price of the product is the main advantage. It is achieved through the use of different serial made and cheap components. For example, powerful cameras and sensors that are already part of any smartphone, combined with the right software, do the same, or even better job than the expensive and specialized parts. This approach significantly lowers the cost, and in the same time does not reflect on quality and performance. Another trick that GlowForge creators use is the use of cloud computing. Most of the calculations are done in the cloud, ant by this saving from processor integration. This not only lowers the cost of the device, but also makes it easier to develop and maintain. The software itself is also a web-based, which makes it available for all operating systems. Working with GlowForge is relatively simple. The user inserts the raw material into the printer and then, with a specialized software he sets the parameters of the 3D model that needs to be cut. Two cameras inside the device provide the opportunity to inspect and to superimpose digital images on any surface. After several minutes, the task is completed. Currently engraving is available only on metal surfaces, while the softer materials can be cut off completely. Because the printer works with a laser, there are some limitations – for example it cannot work with all types of plastics. The creators provide a list of materials that can be used, and the consumer decide whether to buy them from a large stores or order them trough GlowForge’s website. Materials bought through the online store come with a special super-slim protective film. They have two advantages. The user can be completely sure that the product can be handled by the printer, and that the foil has a miniature barcode. The bar code contains all material information and settings for cutting and engraving. With this type of material placed inside the machine, the software can immediately prepare everything needed for the process and the user only needs to set the shape and depth of cut. Another of the GlowForge useful features is the ability to engrave a variety of popular items. Do you want to make the cover of your laptop or smartphone unique? No problem – put the device inside and if the printer recognizes it, you can carve different pattern made by you or the company. Low price, multitude of features, ease of use, all of this makes the printer perfect for consumers or small businesses in niche markets. The company shows, how after engraving leather with antique map and then slightly sewing it, becomes a beautiful wallet. GlowForge also can process two materials, one after another, and next to each other. So within 15 minutes it can make a small wooden candlestick combined with translucent plastic. Unlike 3D printers, where a project requires the operation of the device for hours (and for more complex tasks even days) with GlowForge a lot of the tasks are carried out in minutes. The design of the objects can be made with popular software such as Adobe Illustrator, Inkscape, Adobe Photoshop, GIMP, Autodesk 360, & Sketchup. If the customer is not a designer, he can use premade templates from large online catalog. Currently the results demonstrated by the creators and enthusiasts confirm that the device has a chance to be a potential competitor to the 3D printer. Soon handmade will only mean assembly of individual components created with laser cutting machine or 3D printer.